Let's get kickin! Check out the biggest Converse Sale in the South - on August 13-18, 2018 at the Mall Atrium, SM BF Paranaque. Get up to 50% off on selected items. 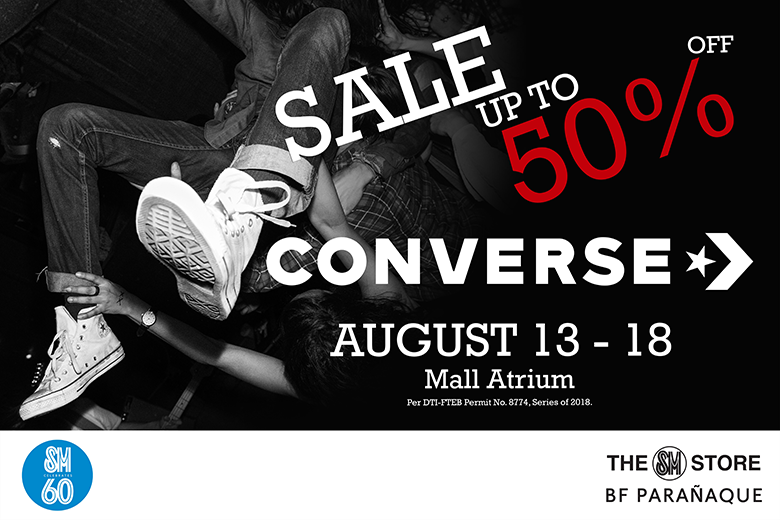 Check out also the Converse Outlet Sale at Converse Paseo de Sta. Rosa. I happy to tell you that all when I'm searching for best buying massage bed I found many many results then after I was get confused. After that I found the best portable massage bed buying guide. It's totally worth of buying.